Performed by: Brittney Lowey as Denise, Bethany Tyler Mark as Helen, Logan Robertson as RJ, and Tessa Miller as Phillie. This play includes strong language and the use of a replica gun. 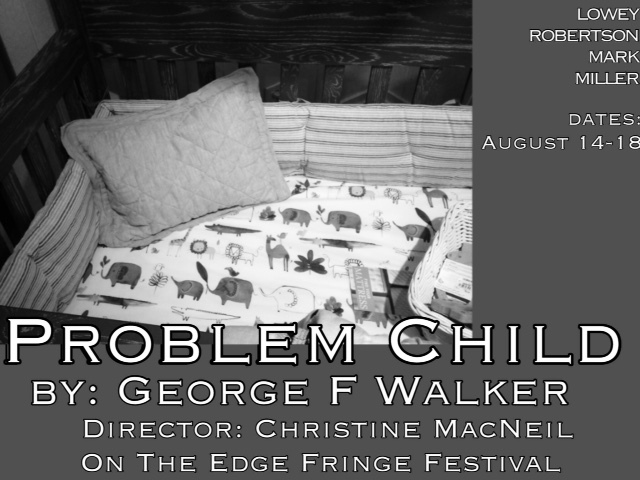 PROBLEM CHILD was first produced by Rattle Stick Productions (New York), September 1997; and Factory Theatre (Toronto), November 1997. Author’s Agent: Great North Artists Management/ 350 Dupont Street/ Toronto, Ontario, Canada. M5R 1V9.